Manufacturer Part Number ARO9807. 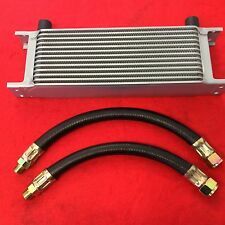 Type Oil Cooler Kit. This sale is for ONE oil cooler and TWO hoses. This hoses will not fit injection models. Classic Mini Oil Cooler 13 Row Kit INCLUDING BRAIDED Hoses. We are Minimine Ltd, from Stoke-on-Trent, we have been trading in Mini parts and accessories since the early 1990's. This sale is for ONE oil cooler and TWO rubber hoses. 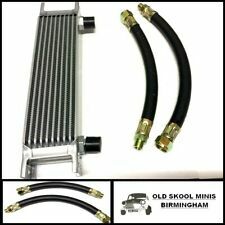 Classic mini 10 row oil cooler inc. rubber hoses. It can mount from below or above. Width including mounting brackets 330 mm. This sale is for ONE oil cooler. 1/2" BSP threads. 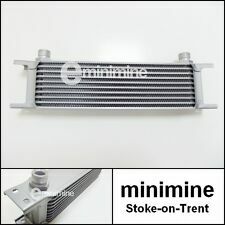 Classic Mini Oil Cooler 10 Row. We are Minimine Ltd, from Stoke-on-Trent, we have been trading in Mini parts and accessories since the early 1990`s. 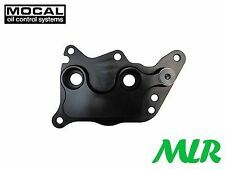 GENUINE MOCAL OIL COOLER ADAPTOR PLATE FOR BMW MINI R56/R57/R58 "PRINCE" ENGINES. Mini Convertible R57 2008 - 2015. Mini R56 2006 - 2013. ADAPTOR ONLY - NO OIL COOLER, FILTER OR FITTING KIT. Products only fit models stated (if products fit other models its in our favour to say so!). Classic mini oil cooler rubber hoses. This sale is for TWO hoses. Suitable for 10, 13 & 16 row oil coolers. Both hoses have a Smiths Petroflex label also as original. The oil cooler is a replica of an original as shown in the first picture. The 2 fittings are for the block and oil filter head. A complete fitting kit is included. This sale is for ONE oil cooler and TWO hoses. Classic Mini Oil Cooler 13 Row Kit INCLUDING RUBBER Hoses. We are Minimine Ltd, from Stoke-on-Trent, we have been trading in Mini parts and accessories since the early 1990's. Für Fahrzeuge mit Automatikgetriebe. 1 x Getriebölkühler. pulverbeschichtetes Netz. Es kann, obwohl Ihr Fahrzeug in der Verwendungsliste aufgeführt ist, verschiedene Ausführungen geben! VOR dem Kauf ob das Teil für Ihr Fahrzeug passend ist! MINI COOPER 2002 1.6 PETROL 5 SPEED MANUAL. OIL FILTER HOUSING. South Yorkshire. The Blue Containers. AJ SPARES is a large independent Vehicle Dismantlers. Depth 51 mm. Height ,to top of union 140 mm. Width including mounting brackets 330 mm. 11427805976 aceite filtro radiador MINI COOPER R56 < abarcan clase = notranslate ' > 1.6 80KW p 3 D de 6 m (2008) 11427805977 piezas usado. MPN 11427805976 11427805977. Gama de productos: Refrigerador-intercambiador de aceite de motor/órganos/soporte. Classic Mini Oil Cooler BRAIDED Hoses INC Copper Washer. This sale is for TWO hoses. We are Minimine Ltd, from Stoke-on-Trent, we have been trading in Mini parts and accessories since the early 1990`s. Here we have a 13 row oil cooler and rubber hose kit. Suitable for Classic Mini. Here we have a 10 row oil cooler and rubber hose kit. Suitable for Classic Mini. 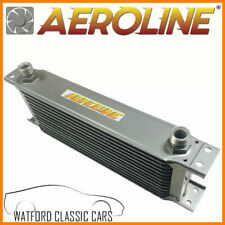 Airtec 1st Gen Mini Cooper S Oil Cooler kit. Powder coated black Airtec logo securing bracket with fixings. Genuine Mocal thermostat (if selected). 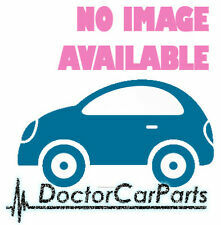 Suitable for 1st Generation Mini Cooper S (2002-2006). OEM NUMBER 17111475586 1475586. MINI ONE COOPER R53. MINI ONE COOPER CABRIO R52. MINI ONE COOPER R50. OIL COOLER. If you are not sure. OE Number . and they are ready on the spot. Depth 51 mm. Height, to top of union 145 mm. Width including mounting brackets 330 mm. Here we have for sale a pair of quality braided stainless steel oil cooler hoses, suitable for Classic Mini. Classic mini oil cooler braided hoses. This sale is for TWO hoses. Suitable for 10, 13 & 16 row oil coolers. This sale is for ONE oil cooler and TWO hoses. Classic Mini Oil Cooler 10 Row Kit INCLUDING RUBBER Hoses. We are Minimine Ltd, from Stoke-on-Trent, we have been trading in Mini parts and accessories since the early 1990's. Citroen - Peugeot - Ford - Mini Per Motori 1600 Hdi Scambiatore Calore Adatto Per 1103k2 - 11427805977 Oil Cooler Codice Prodotto: (28/2432)...Clicca Sotto per Descrizione Completa. The perfect accessory for cold weather driving, this shroud will fit all British Leyland oil coolers. Here we have for sale a quality reproduction oil cooler shroud. This shroud fits around your existing oil cooler and help your engine warm up and stay warm. GENUINE MOCAL OIL COOLER ADAPTOR PLATE FOR BMW MINI TRITEC ENGINES. ADAPTOR ONLY - NO OIL COOLER, FILTER OR FITTING KIT. Products only fit models stated (if products fit other models its in our favour to say so!). Engine Oil Cooler, suitable for the following: Mini R55 Clubman - Cooper S & JCW models with N18 engines Mini R56 Hatch - Cooper S & JCW models with N18 engines Mini R57 Convertible - Cooper S & JCW models with N18 engines Mini R58 Coupe - Cooper S & JCW models with N18 engines Mini R59 Roadster - Cooper S & JCW models with N18 engines Mini R60 Countryman - Cooper S & JCW models with N18 engines Mini R61 Paceman - Cooper S & JCW models with N18 engines Genuine OE part with part number 11428643745. Powder coated Black Airtec logo securing bracket with fixings. AIRTEC part no: ATOILMINI1. Genuine Mocal thermostat. Earl's temp 'a' cool oil cooler. Billet oil line separators. Satin Black High pressure oil lines. Classic Mini Oil Cooler RUBBER Hoses INC Copper Washer. This sale is for TWO hoses. We are Minimine Ltd, from Stoke-on-Trent, we have been trading in Mini parts and accessories since the early 1990`s. Part number: 1475586. Fits: R50 R52 (Cooper & One). Oil Cooler (Automatic). Genuine MINI. N.B. People may have different opinions when judging the condition of used parts. If you do not ask and the part does not fit we will not accept responsibility for the error. CITROEN/PEUGEOT : 1103L1 - 1103P0 - 1104.36. Radiateur d'huile. MINI LCI Clubman (R55) - Mini 1.6 D DPF 110 16V 110 cv, Mini 2.0 D DPF 112 16V 112 cv. MINI Clubman (R55) - Cooper D 1.6 d 110 cv, Cooper D 1.6 d 110 cv. Aceite cooler radiador de aceite para transmisión automática BMW mini Cabrio R52 nuevo. MINI MINI Descapotable (R52). MINI MINI Descapotable (R52) Tonelero 1598 85 116 2004/07-11/2007 0005-AFY. MINI MINI Descapotable (R52) Tonelero 1598 85 116 2004/07-11/2007 0005-801. PART NUMBERS: 1103T5, 11427546279, 11427552687, 11428643749, V864374580. MINI, TRIUMPH, AUSTIN, FORD The hose is in an excellent condition. 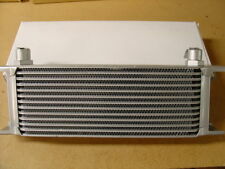 13 Row Oil Cooler as fitted to Cooper 'S' Models. ARA221 or C-ARH221. Part number: 7632764. Fits: R60 Countryman & R61 Paceman (JCW ALL4 - John Cooper Works). Genuine MINI. N.B. People may have different opinions when judging the condition of used parts. If you do not ask and the part does not fit we will not accept responsibility for the error. BMW MINI R50 AUTOMATIC TRANSMISSION PAIR COOLER HOSES/PIPES. 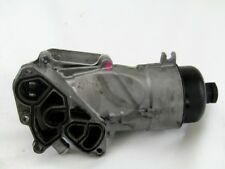 FITS ALL BMW MINI ONE & COOPER R50 2001-2006 & R52 2004-2008 (AUTOMATIC TRANSMISSION ONLY). This sale is for ONE oil cooler and TWO hoses. Classic Mini Oil Cooler 10 Row Kit INCLUDING BRAIDED Hoses. We are Minimine Ltd, from Stoke-on-Trent, we have been trading in Mini parts and accessories since the early 1990`s. Powder coated Black Airtec logo securing bracket with fixings. Earl's temp 'a' cool oil cooler. Billet oil line separators. Satin Black High pressure oil lines. Billet alloy oil adaptor plate. PART NUMBERS: 1103T5, 11427546279, 11427552687, 11428643749, V864374580, 1103P7. 10 row oil cooler with BRAIDED hoses. 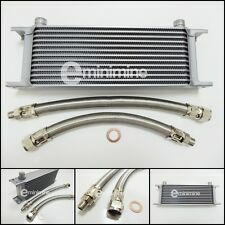 10 row oil cooler and hose kit for classic Mini, Austin etc. Kit comprises of THIS WILL NOT BE SPECIFIED BEFORE SENDING. Classic mini 13 row oil cooler (1/2 BSP thread). Here we have a pair of new rubber oil cooler hoses suitable for Classic Mini.